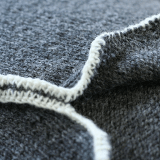 A brief and practical introduction to steeking Fair Isle knits. With photos illustrating crocheted and machine-sewn steeks, this guide will help you cut through your knitting without fear. Washing wool garments yourself isn’t as hard as you think. 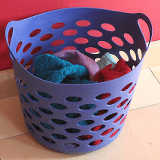 Here you will find simple instructions anyone with a washing machine can follow and some myths about babies and woolens will be debunked along the way.